MetaTrader Market ofrece a todos los desarrollador de programas de trading una sencilla y cómoda plataforma para ponerlos a la venta. Le ayudaremos con la presentación y explicaremos cómo preparar la descripción de su producto para el Market. Todos los programas que se venden a través del Market están protegidos por una codificación adicional y pueden ser iniciados sólo en el ordenador del comprador. La copia ilegal es imposible. This is a free demo version of the Index Pro MT5 indicator. Use this version to see the indicator functionality on the example of the British Pound index (GBP). To draw charts of other symbols (currencies, metals), please purchase the full version of the indicator. This indicator changes the standard MetaTrader 5 candles to candles at the selected BID, ASK or Average price (BID+ASK)/2. Simply attach the indicator to the chart and select the prices to plot the candles or bars. Indicator Parameters ENUM_DRAW_TYPE - plot candles or bars on the chart For the price - the price for plotting the candles or barsThe chart returns to its normal visualization mode after removing the indicator. Rubber tape combines a trend indicator and an oscillator. Moving Average indicator value is used for calculation. 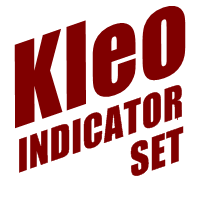 The indicator values are calculated in points. The indicator has two input parameters: Period - number of bars for calculation; Tension - "tension ratio" from the interval [0,1]. This indicator displays the currency indices. For calculation you can use Moving Average, RSI, MACD, Stochastic or Laguerre. Laguerre was created by John Ehlers - the expert who applied digital signals processing methods to futures trading. 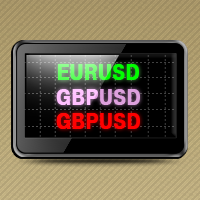 This is a free version of Multi Currency Indicator that works with USD, EUR and GBP, and it uses Laguerre indicator only. There is only one input parameter - 'gamma', which is used to specify Gamma factor for Laguerre indicator. JARSI (J-smoothed Adaptive RSI) brings the famous indicator to a new height. Though it preserves the conventional RSI, the following features are added: Adaptiveness to the period of market cycles, which makes JARSI more stable in changing conditions. 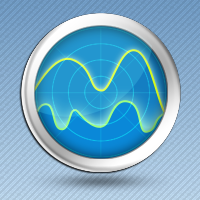 J-smoothing significantly reduces noise and allows detecting divergence signals more accurately. It's a very useful script for cleaning charts from all objects. Of course, you can simply open a new chart, but if you have indicators and Experts Advisors on the chart, you'll need to adjust all their parameter again. 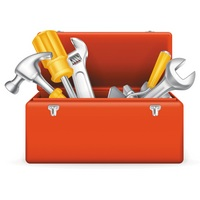 Just one click on the script and it will clean your chart leaving only necessary tools on it. This indicator is a moving average with few noises, slight delay and no repaint. This indicator is applicable also to other oscillators. Input Parameters: M3 Period: period of averaging of M3, 3 on default; M3 Shift: shift of M3 line, 0 on default; Indicator ID: number for identifying an indicator, 0 on default; Applied Price: PRICE_MEDIAN on default.